All my technical papers in one place! Anyone that is technically inclined or a nerd by nature is already up to speed with the abortion that is happily named Microsoft Windows 10. Probably the biggest problem those of us that build our own systems have with it, aside from the rest of the problems Windows gives us (forced restarts, Windows P2P, The scrolling Apps list in the start menu, default browser, Cortana sending you to Bing, Windows Store, replaced PDF reader with the Edge browser, and many many more issues) is this issue where somehow Microsoft went from being the worst driver manager on the planet to now forcing its drivers on us without the option to disable it. 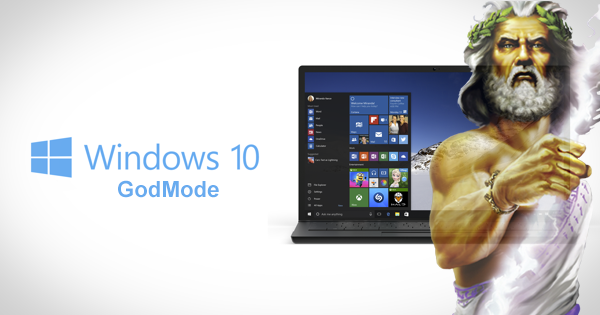 There is a hidden gem that has been with us since the early days of Windows that some may have heard about and many did not know exisited and that is what Microsoft calls "GOD Mode". Now some of you are going to give me crap and tell me GOD Mode was not available until Windows 7 and that is only partly true. It was given that name when Windows 7 came out but the tools within it have been around since the first days of Windows. I have used it over the years in almost every OS put out by Microsoft for a variety of reasons. Now it seems it is living up to its name and gives us the control we need to actually benifit from using WIndows 10, while giving us back the control we need to ensure our systems perform at their very best and be as secure as possible. You know the reason Microsoft gave us when we asked them what gave them the idea they was qualified to take full control of our drivers when their history tells a totally different story! Here is how you get to GOD Mode... you need to create a folder, I put mine in the root directory of the C drive for convenience but you can create it anywhere you like. After you have created the new folder you need to rename it. In the following line copy the code and use it to rename this folder. Once you rename it and save it will turn into a cheezy icon, one that is common with the rest of the retarded icons that Microsoft has created and has not changed since it was introduced in Windows 7. Here is what it looks like in case you was wondering. So now that you have your GOD Mode icon, click it and you will now have access to a number of tools that was never easy to find. Down the list you will find a tool called "Change Device Installation Settings". Double click that tool and in the popup window click "No, let me choose what to do" and then choose "Never install driver software from Windows Update". There is one caviat to this, once you click save changes you are now fully responsible for keeping your computer up to date. Windows update will no longer search for, download or install any updates for your operating system. So unless you are savvey enough to create a schedule to perform a check and update your system I strongly advice you to leave this set to its recommended setting (YOU HAVE BEEN WARNED!). 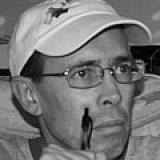 I am an all-around tech nerd with 25+ years' experience designing power user systems and networks and a passion for graphics and web development. My goal with this site is to bring all my knowledge into one place where I can easily manage it and anyone who seeks that knowledge can easily find it. Monday, 20 February 2017 How To Block Specific Sites In Google Search Results! Tuesday, 07 February 2017 Finding the Right Software is a Challenge! Sunday, 19 June 2016 Beware of the DMCA!